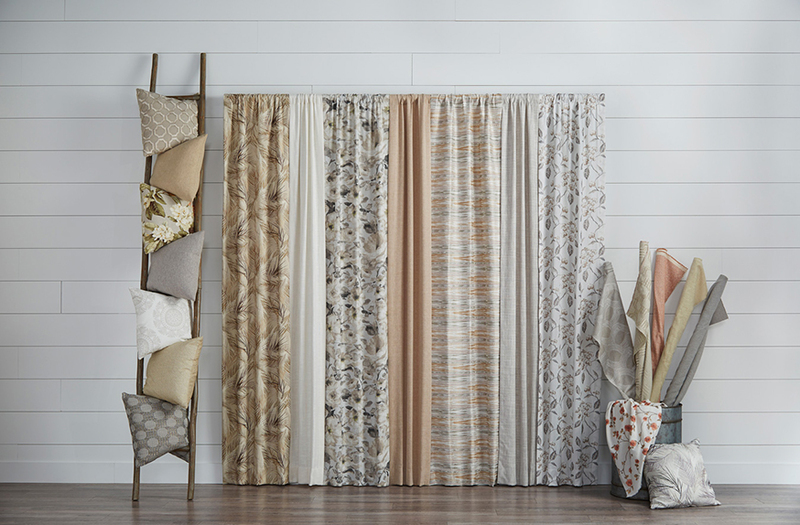 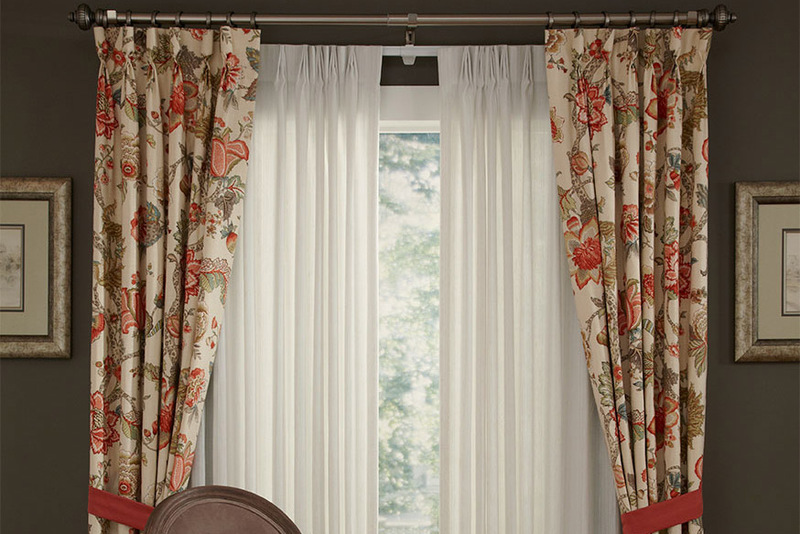 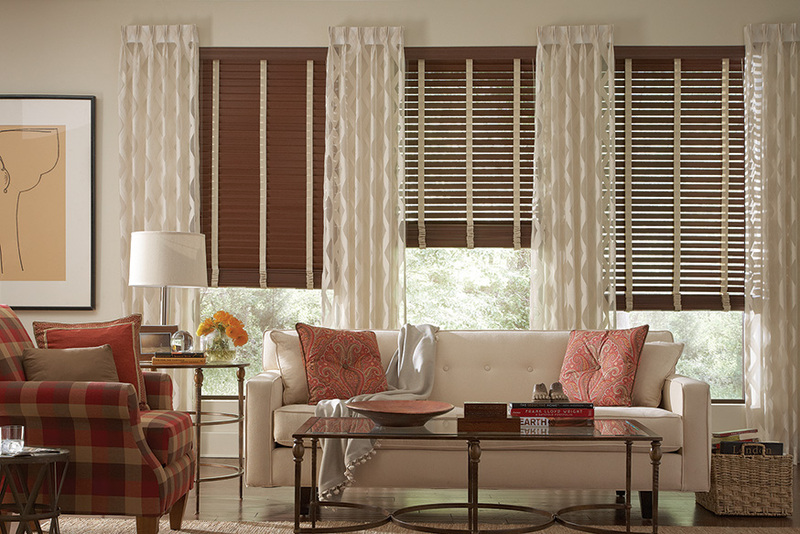 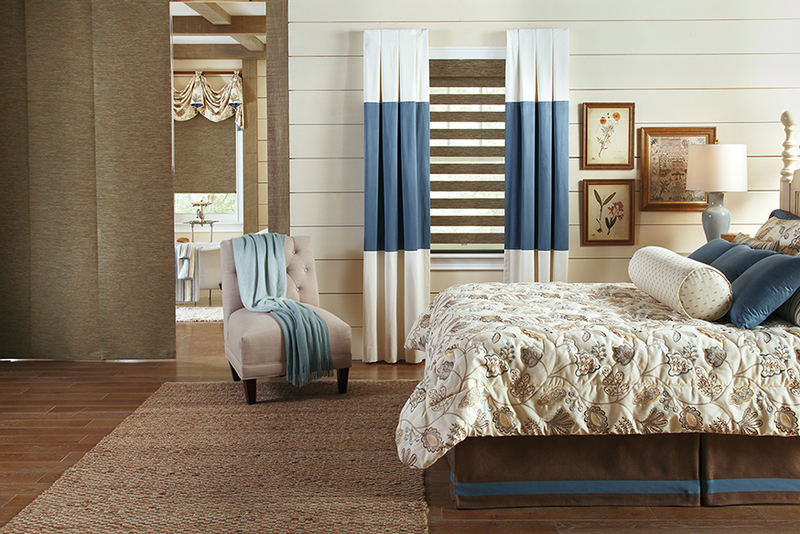 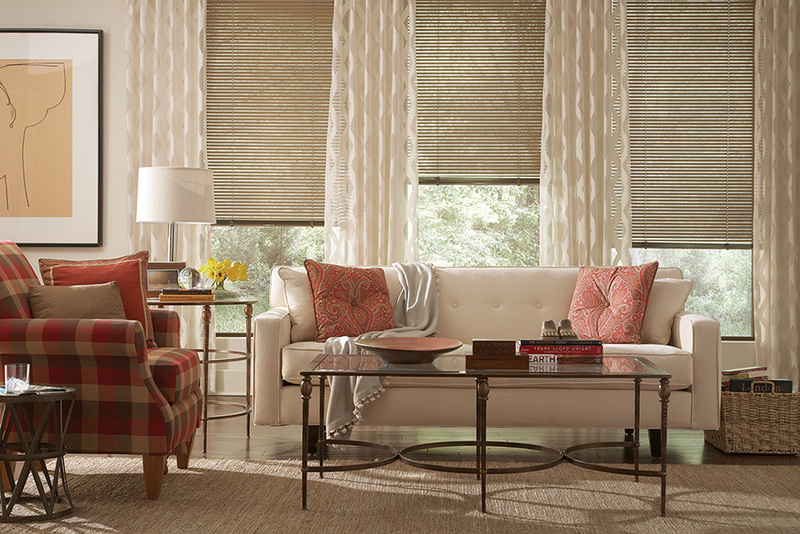 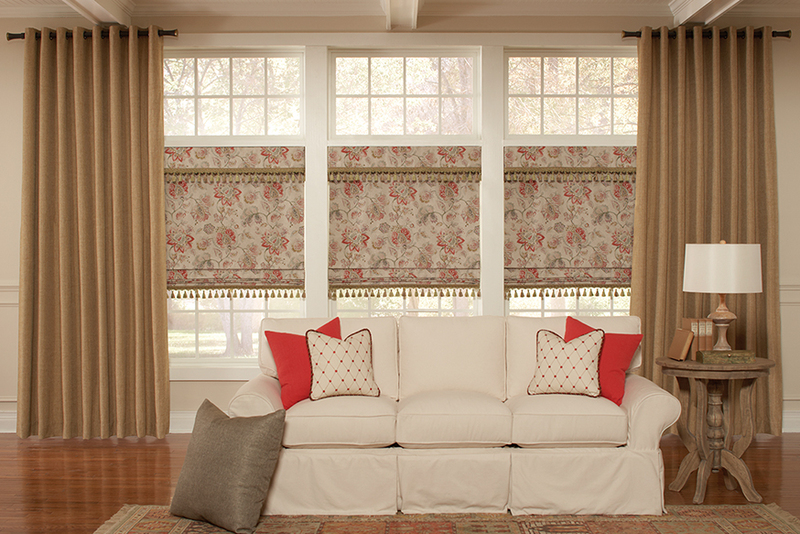 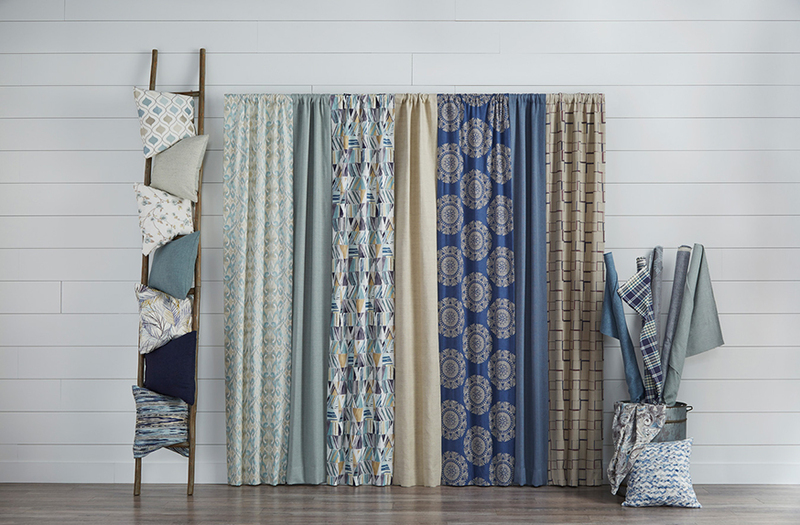 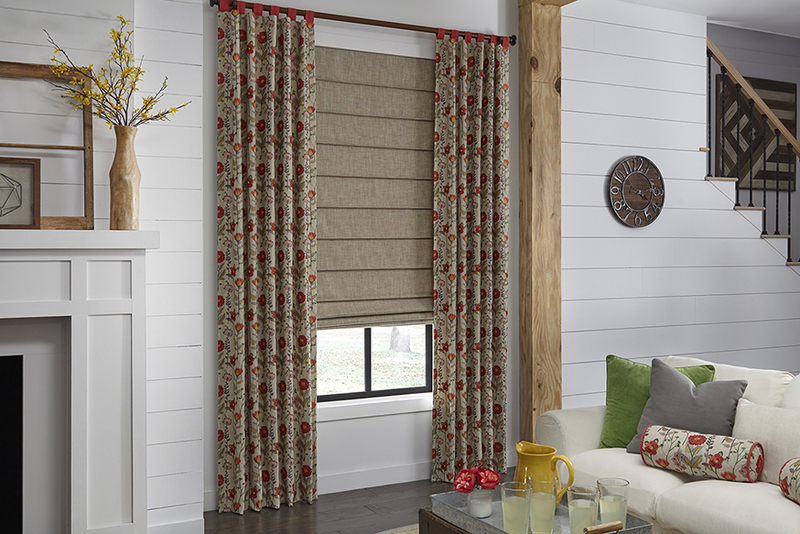 Featured: Kick Pleat Valances, Rod Pocket Draperies, Tailored Arch Headboards and Pillows. 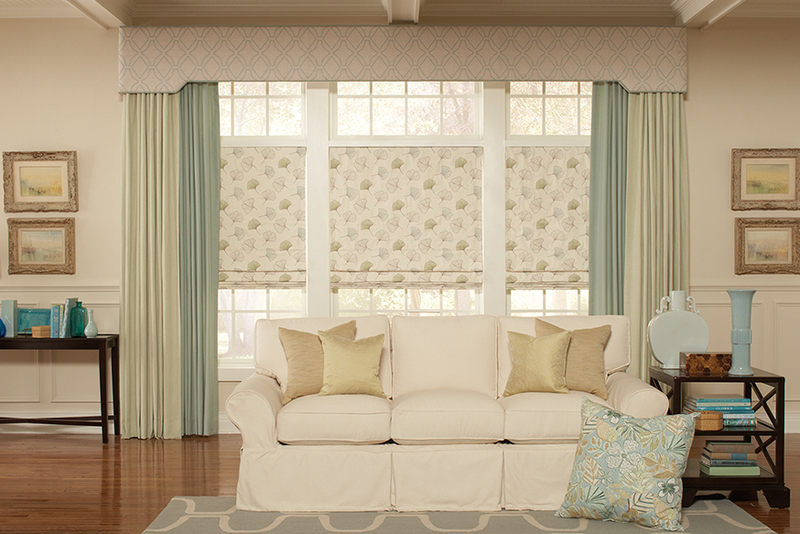 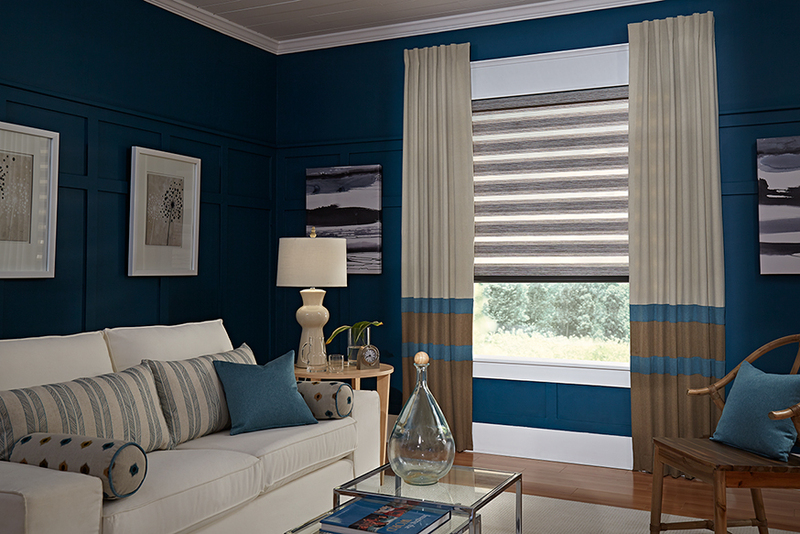 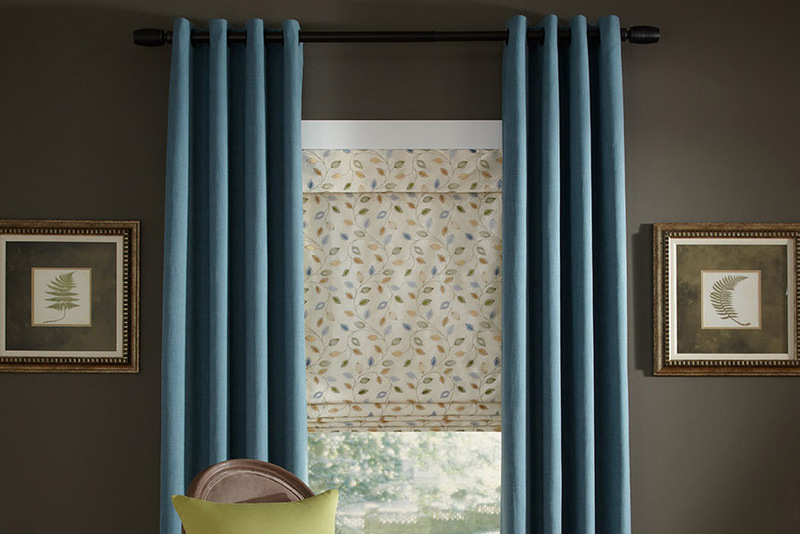 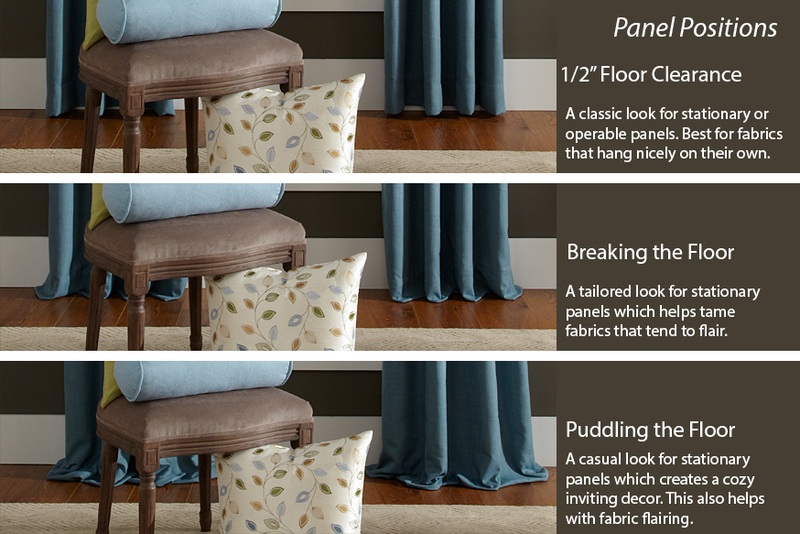 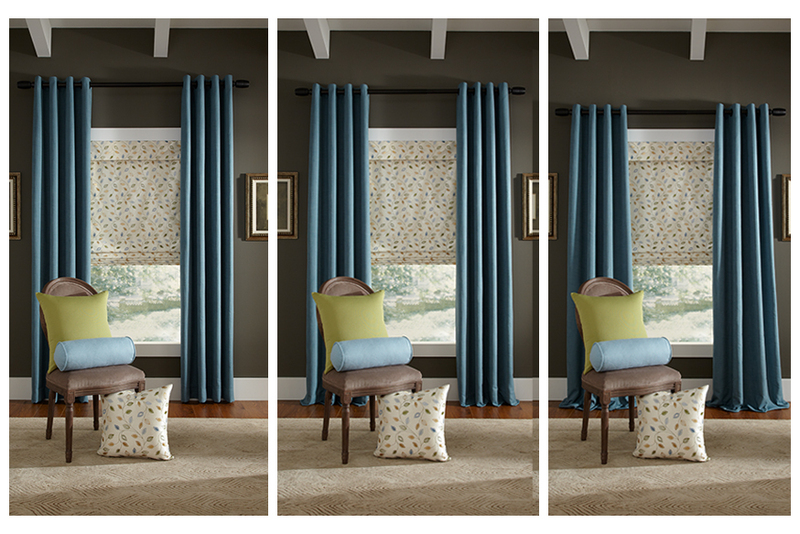 Featured: Front Drapery Panel in Affinity, Aquamarine (bk 2182). 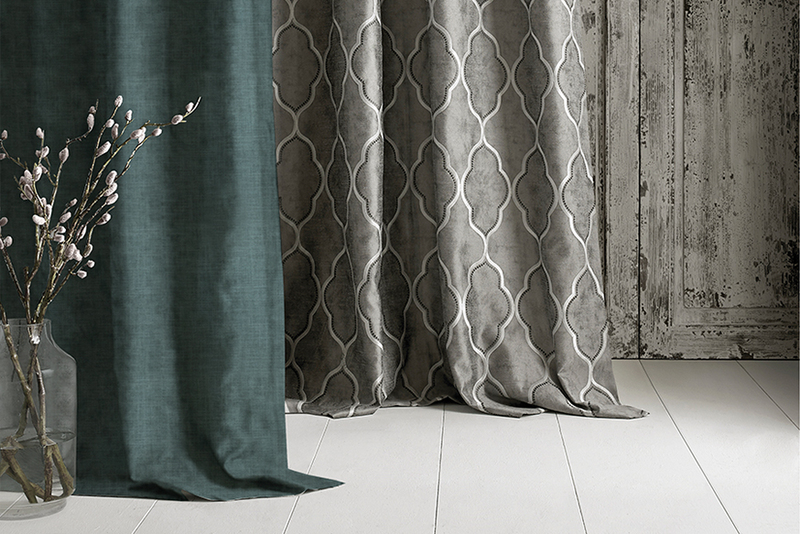 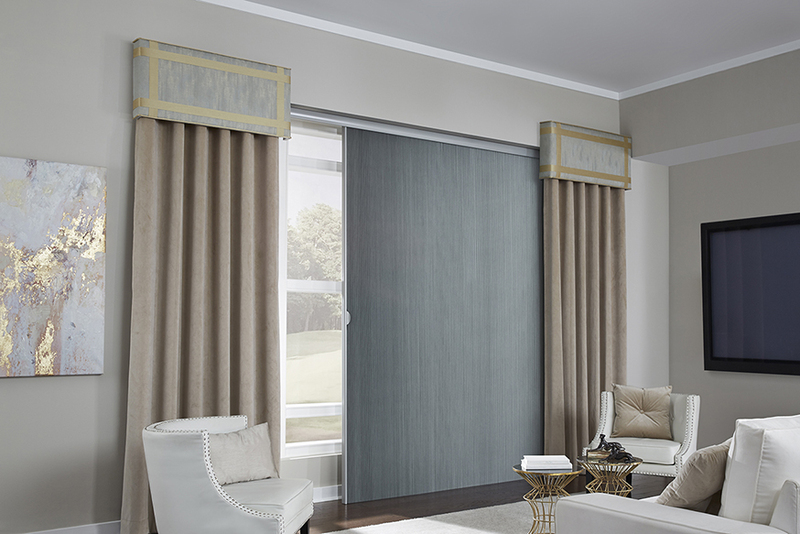 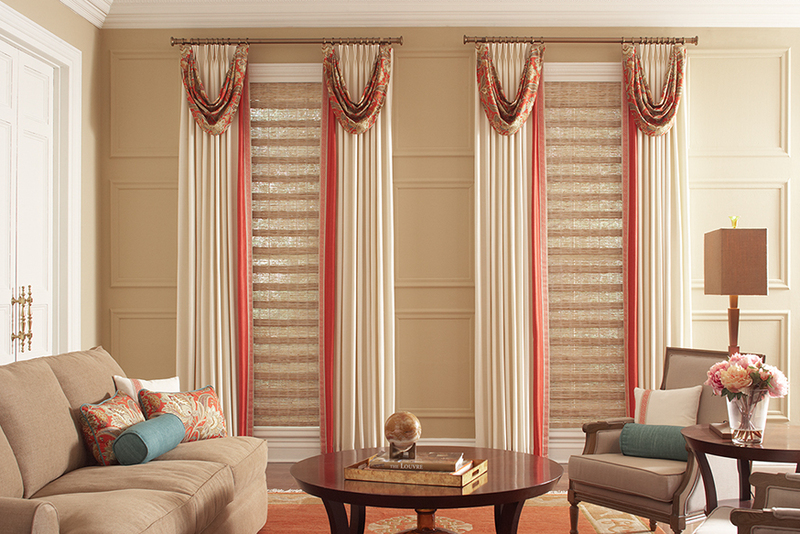 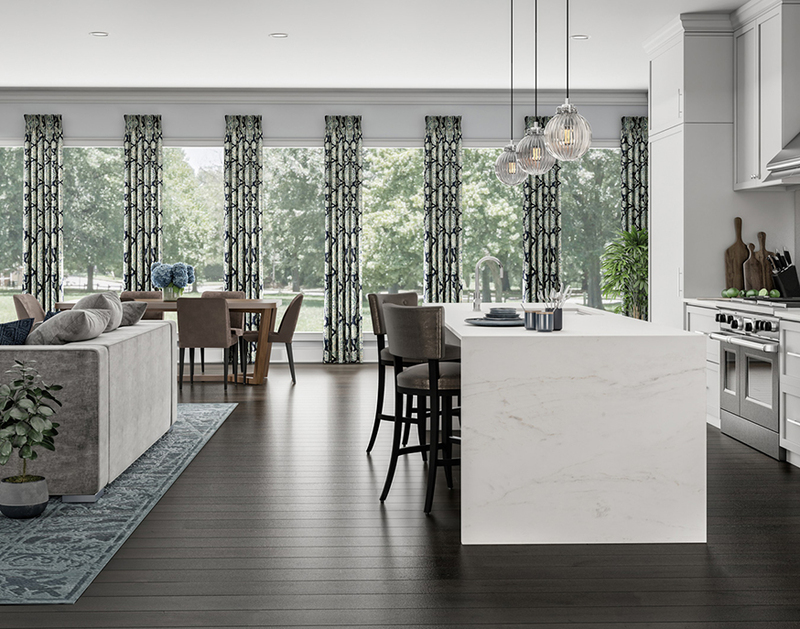 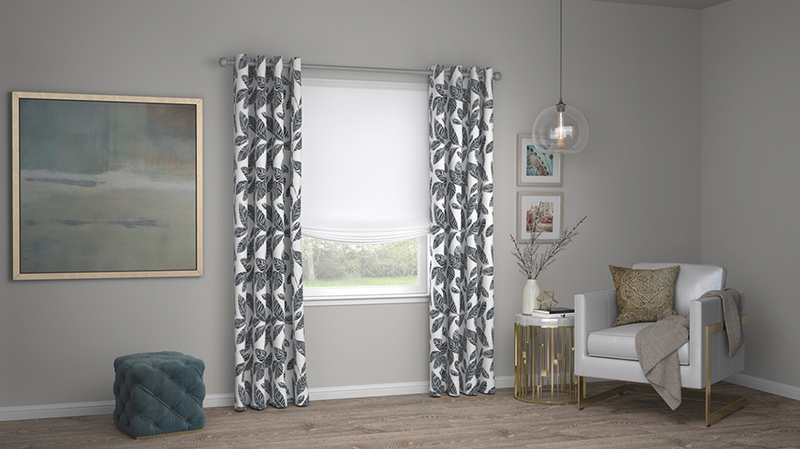 Back Drapery Panel in Adara, Smoke (bk 2183). 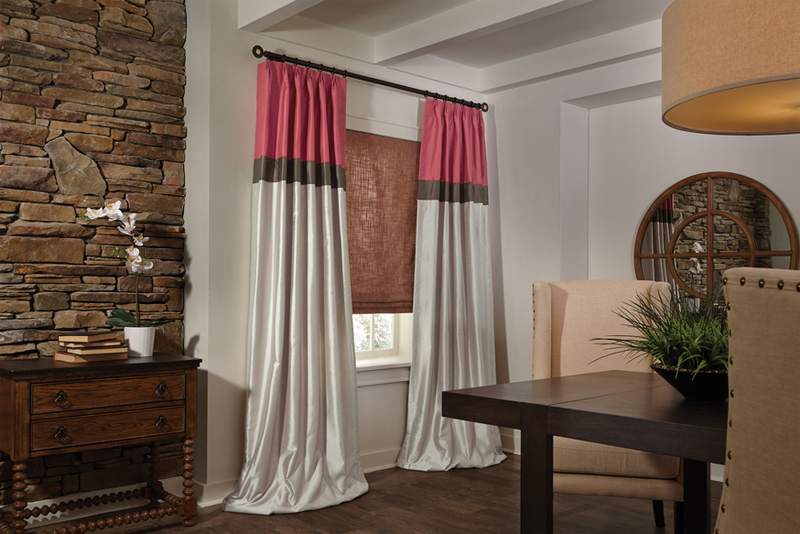 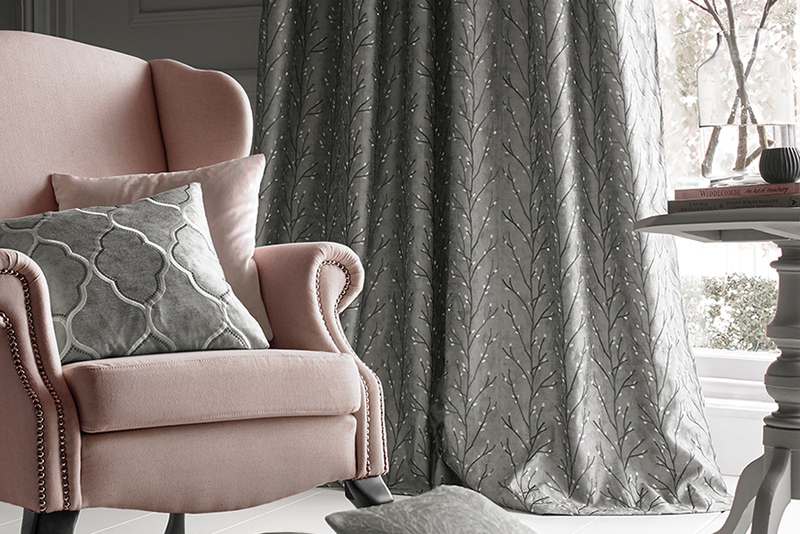 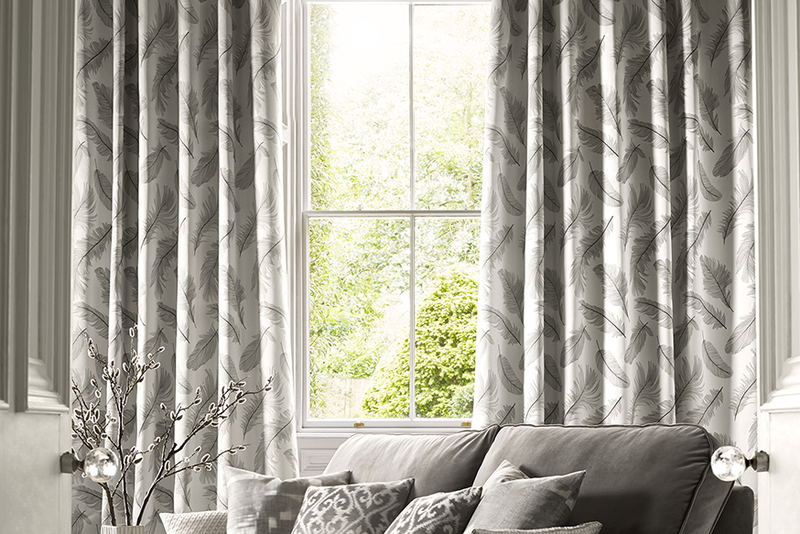 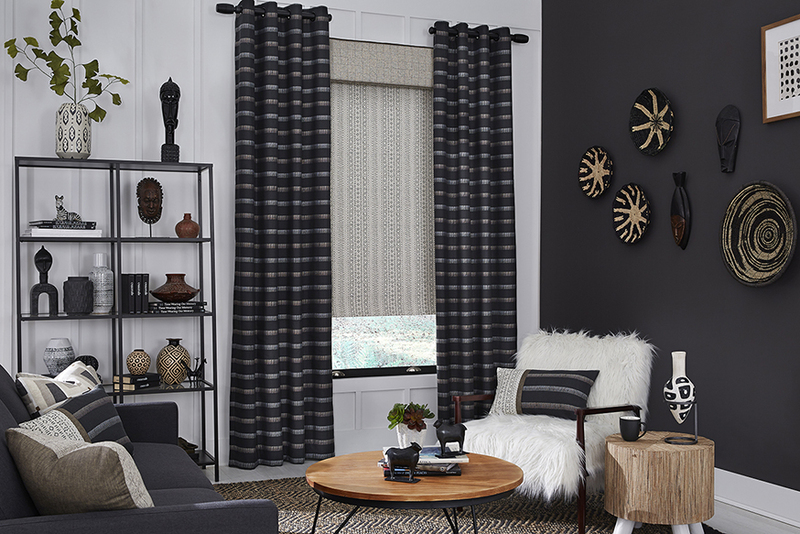 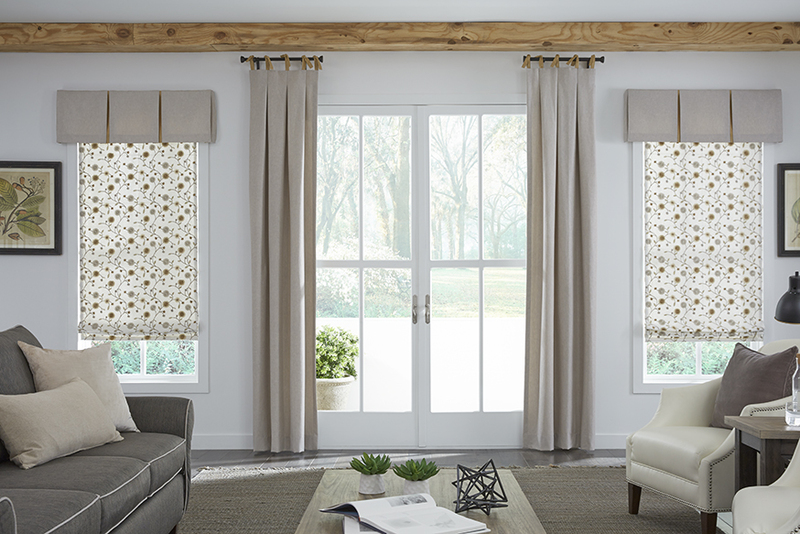 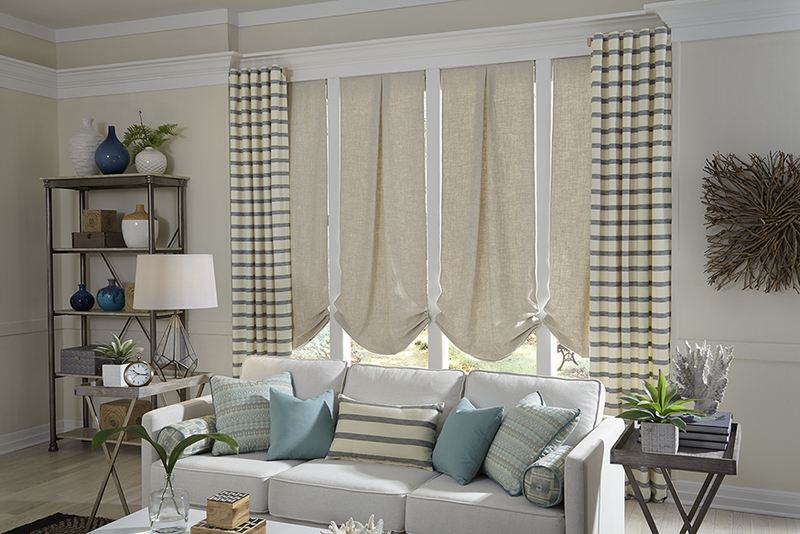 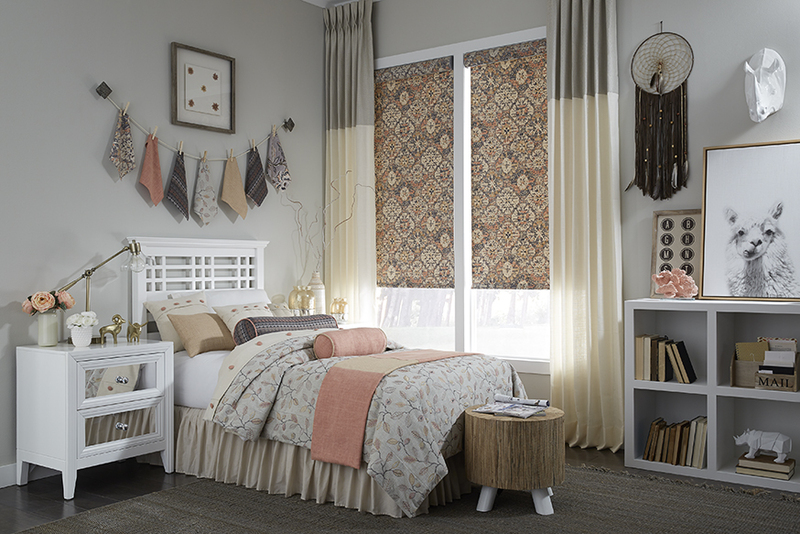 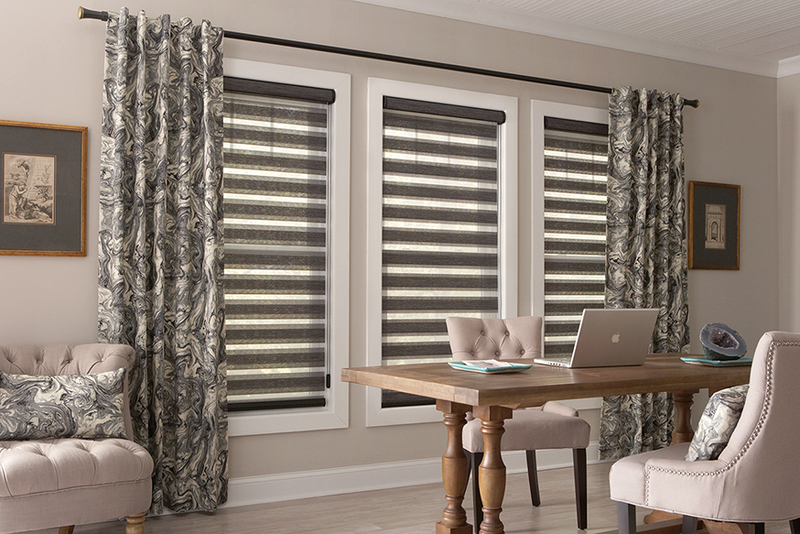 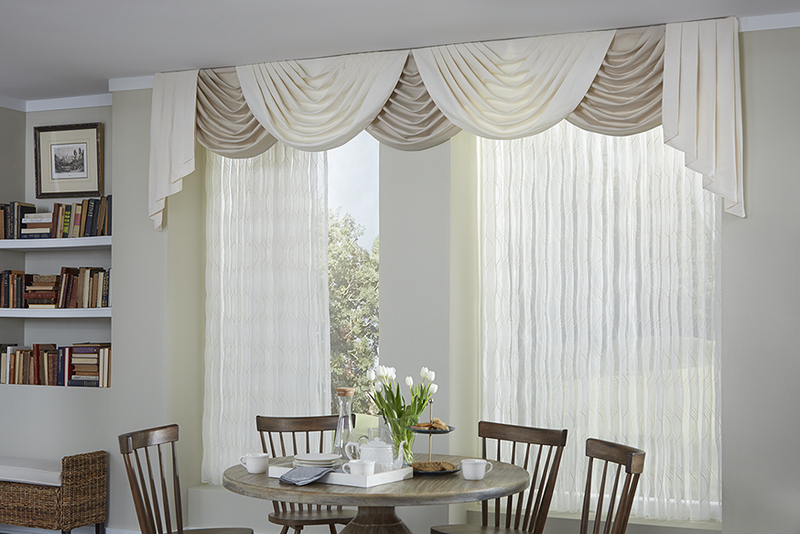 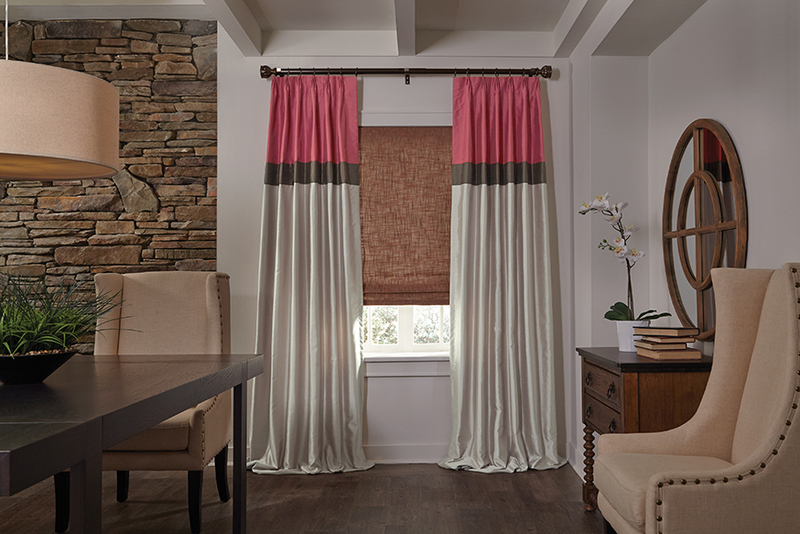 Featured: Draperies in Quill, Silver (bk 2179). 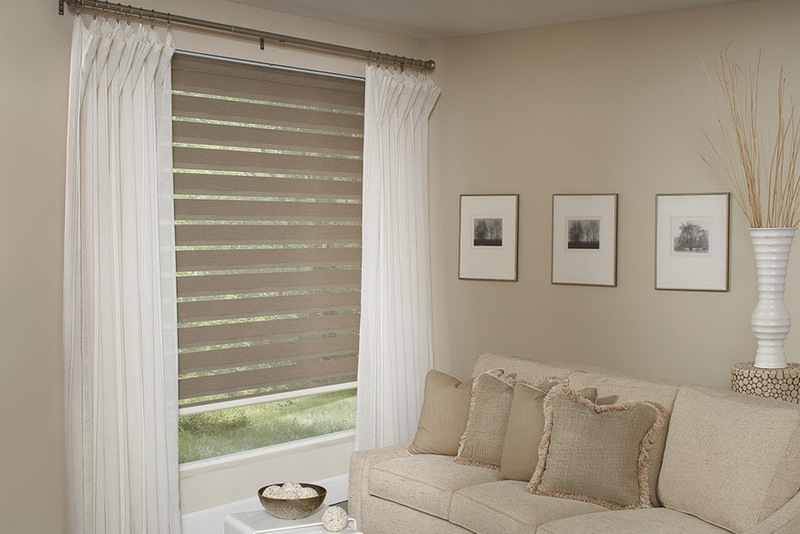 Grommet Panels Shown with Standard 1/2" mounting, Breaking, & Puddling the floor.